President Benigno Aquino III declared February 25, 2013 as a special holiday to all schools nationwide. This is to celebrate EDSA People Power Revolution Anniversary also known as EDSA I and Yellow Revolution. The historic event takes place in EDSA (Epifanio de los Santos Avenue) where thousands of fellow Filipinos involved including religious groups, military and political leaders. 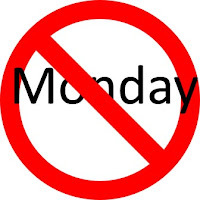 If you’re working on a government office and private companies expect Monday as a ordinary busy day for you. February 25, 2013 special holiday is only observed to all private and public schools nationwide. See more holidays in Philippines: Holidays for 2013 Calendar. Feb 25 used to be a holiday for all, not only for schools.Its marked red in the calendar.